If you’re looking to sell your home or if your home is on the market, check out these home selling tips below. From the eyes of an interior designer! I’m one of those people who loves to see what’s on the market regularly. Partly to get exposure to new neighborhoods and housing developments in the area. But, also to stay up to date on trends in the area, especially among buyers and sellers. 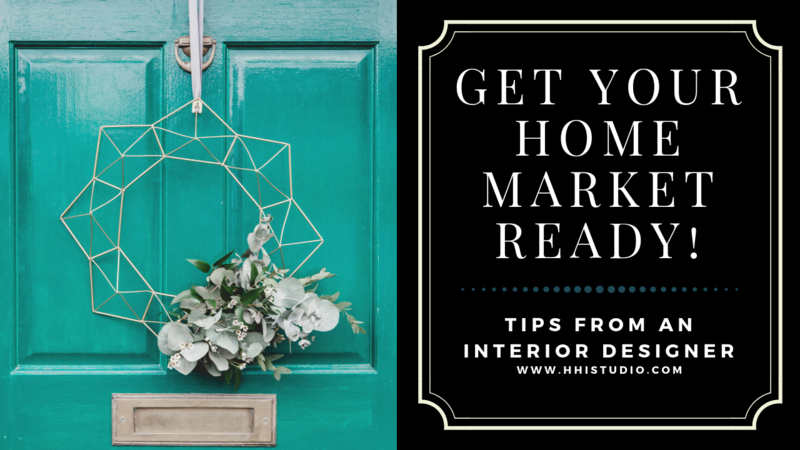 It may seem like an odd thing for an interior designer to care about, but what I’m looking at is what attracts buyers and what motivates sellers. Because at the end of the day, if you’re updating your home at any point of home ownership, you want to be sure you’re spending money wisely. Not just for your benefit right now, but for resale in the future. I value my clients’ time and money, and I want to make sure anything I suggest will benefit them right now and when they are ready to sell. Here are a few of my top tips when listing your house. Things that I regularly see and can often pinpoint why a home isn’t selling. Price plays a factor, of course, but ensuring that you have buyers actually wanting to tour your home is another piece of the puzzle. I get it. We all want privacy. We all like to keep our nosey dogs from yelling at the neighborhood dogs walking near(ish) to the house. (Maybe just me?). But one of the biggest turn offs for buyers is seeing a dark and depressing space. If you do nothing else during picture day and showing appointments, make sure your windows are open and letting the light and view in! Humans naturally crave to see nature, as mentioned here. Open windows with a view are an easy way to showcase this in your home. We all know that first impression is a huge deal when selling yourself for a job, meeting new people, etc. And it is just as critical for your home, too! Think about it from the buyers side. If or when you’re looking at homes, which ones do you gravitate toward and which ones stand out? It’s usually the ones with better photography. Make sure your realtor understands the importance of good photography. It doesn’t matter if your home is magazine ready, if your pictures aren’t a good first impression, it’ll just get skipped over and forgotten. I am absolutely not telling you to hide who you are in your own home. But, I will tell you to bring it down a level or two. Too much personalization is overwhelming for buyers. And they often can’t overlook it. I don’t think you need to completely neutralize your home, just to sell it. But, I do believe simplifying is key. 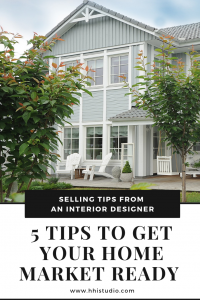 Your goal is to get a buyer to come in and envision living in the home. With their things. That doesn’t mean get rid of everything, and in fact I highly do not suggest you do that either. The key is to find the right balance of you still living there and allowing the buyer to feel right at home. Need assistance with this? I offer home selling consultations (in person for local to Northern Virginia or online for anywhere in the US) just for this type of thing! Contact me via email (kayla@hhistudio.com) or schedule a 15 minute virtual coffee chat to learn more! The absolute best thing you can do when selling your home is finding the right person or team dedicated to selling your home. Meet with them. Make sure they have similar belief systems as you and that they see you as a client and person, and not dollar signs. Will they maintain a relationship with you outside of this sale? Do they truly care about you and your family? It makes a huge difference to know someone has YOUR back on a professional level. If you’re in the Northern Virginia area, I highly recommend the Ron & Kelli Team. And while I should add that Kelli is my mom, I strongly believe in the dedication and passion that this team has for real estate and their clients. It’s not just a job or career, it’s their life. They eat, breathe, and sleep real estate. I have watched them build friendships and strong bonds with their clients over the years. They’ve been invited to numerous parties, weddings, and so much more. To work with them, you become family. Getting ready to sell your home can be overwhelming. And it’s absolutely ok to look for professional help outside your real estate professional(s). Remember, you want your home to set the best first impression it can to those who are house hunting. Sometimes, it helps to have a neutral 3rd party come in and offer guidance. If your budget doesn’t have room for you to complete the renovation(s), you still have options. Technology today provides ways to show updates, without the hefty expense or extended timeline to complete the project. Instead, ideas can be shown to potential buyers digitally, and can show potential of what your home can become. Other options include virtual staging to show empty homes with ideal furniture and/or various suggestions on color schemes. Just make sure to clearly note that these are not actual images, but professional suggestions. Feeling stuck or want a neutral party to help get your home in top selling shape? Contact me for a home seller’s consultation. I promise, I won’t tell you to toss everything and start new. But, I will walk space to space, room to room with you, while discussing your budget and timeline. And then, I’ll figure out the best plan of action just for you! 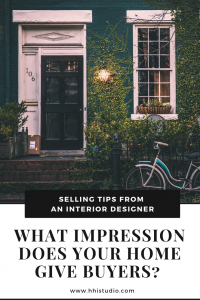 What first impression is your home giving to buyers?